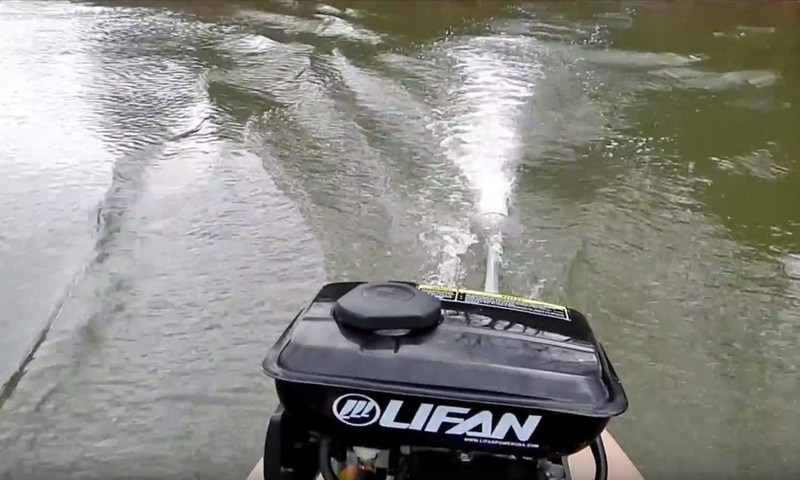 Fishing is the most popular application among people who use Wavewalk™ kayaks. These people need kayaks that are particularly stable and comfortable, and would enable them to go on lengthy trips in the quest for fish, and spend long hours in their kayaks without suffering from any sort of pain, discomfort or wetness, while moving swiftly from one fishing hole to another in the same fishery, or between different fisheries. 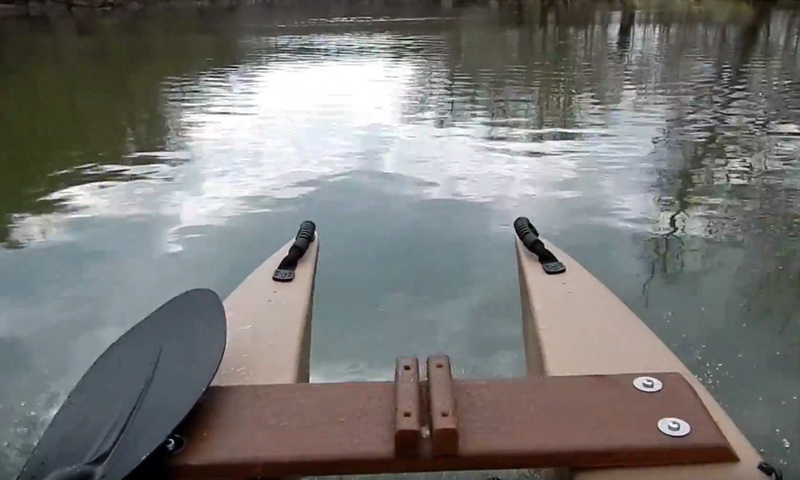 Such trips often take place in less than favorable weather and water conditions, such as under wind, which is why these paddlers appreciate their Wavewalks’ unrivaled tracking capability. 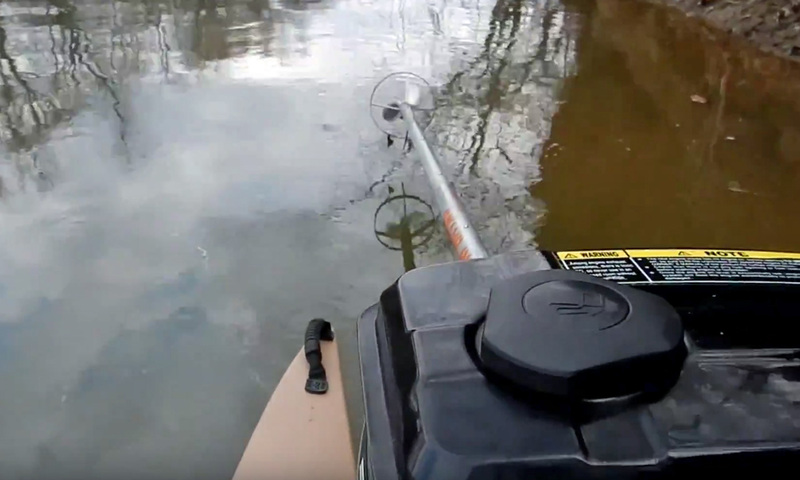 Needless to say that such anglers take plenty of fishing gear on board, and some take camping gear as well, and they love their W kayaks because it offers more storage space than any kayak out there. The same basic requirements apply to kayak touring, which makes the Wavewalk™ particularly appealing as a long-distance touring kayak, a.k.a. expedition kayak. The purpose of this article is to explain the basic terms and facts related to kayak touring in order to enable the reader to make informed decisions when choosing a touring kayak. Kayak touring is a recreational paddling activity involving one or more kayakers going on medium to long range trips on freshwater and/or at sea. Kayak touring usually does not include traveling in whitewater, fishing and hunting, but it is sometimes combined with camping, bird watching and photography. A touring kayak is a kayak designed for one or two kayakers (tandem) going on kayak touring trips. In the range of kayak speeds touring kayaks offer average to high speed. Native peoples of the Arctic Circle used kayaks for touring expeditions for hundreds and possibly thousands of years before kayak touring became a recreational activity sometime around the beginning of the twentieth century. Their custom sit-in kayaks were hand crafted, and already had the basic design of modern days touring kayaks except for the fact they featured no kayak seat, rudder or hatches that were introduced only in recent decades. Some of the native kayaks were narrow and designed to be easily rolled in case of capsize, and others were wide enough to offer sufficient stability for a native kayaker. It is important to note that native kayakers were considerably lighter as well as shorter than the average, modern North American paddler. On top of this, native kayakers practiced kayaking for long hours since early childhood and were in most cases more athletic and in better physical shape than the average North American touring kayaker. Such differences in stature, weight and skills have a critical effect on essential issues from safety to comfort, recovery, speed, tracking and maneuvering etc. Canoeing became popular among settlers in North America, who adopted various native canoe designs for touring the continent’s waterways as well as for transportation of people and goods. Kayaks remained unused because canoes had the advantage of having a greater load capacity and were easier to paddle with a crew of two or more passengers. Sometime after the middle of the nineteenth century trains, motorized boats and later trucks and cars made canoes obsolete for utility touring, but at the same time people began to have more free time and disposable income, and began paddling canoes instead or rowing boats as a popular recreational, outdoor activity. Kayaks were accepted as mainstream recreational paddle crafts starting in the sixties, as the new American society became increasingly centered on the individual. For this matter, the kayak had the advantage of being easier to handle and propel by a single passenger than a canoe is. It is then that the traditional sit-in kayak design was hybridized with the paddle board and the first commercial sit-on-top (SOT) kayak came to this world (1). Gradually, with the evolution of the consumer society it became fashionable to own a touring kayak, similarly to owning other individual recreational equipment such as a pair of name brand skis, a set of golf clubs or the latest model of fancy bicycle. This trend reached its peak during the second half of the 1990s, as the soaring stock market coupled with the boom in Information Technology markets made it easy for urban professionals to buy increasingly expensive recreational sporting gear. It is during that period that expensive touring kayaks hand made from new, fiber reinforced plastics (FRP) became fashionable, and many small and medium size touring kayak manufacturing businesses thrived. This trend was equally fueled by the natural tendency that people have to compare the gear they’re using, and to assume that the more expensive the kayak the better it is. It is in this brief half decade that many kayak touring clubs were founded and many paddle shops got into the business of selling touring kayaks. Things have taken a downward course around the 2001 depression, and a new era in kayak touring has begun. Some called the beginning of this new trend the ‘Touring Kayak Meltdown’, and it reflected a number of developments – The first being a considerable drop in sales of expensive touring kayaks and at the same time a rise in sales of low-cost recreational kayaks. The second is a decline in participation in kayak touring activities such as club tours, and a rise in recreational kayaking activities including rentals, non organized short trips and kayak fishing. The difference between the trend setting kayaks in the nineties and the trendy kayaks today is not only in price and materials (rotationally molded polyethylene being the most popular material today), but also in the basic design concepts. The typical touring kayak used to be a very long, very stiff (I.E. brittle) and very narrow sit-in kayak. These attributes served the purpose of enabling higher speed and practicing the Eskimo Roll. In comparison, today’s typical touring kayak is shorter, wider and roto-molded I.E. 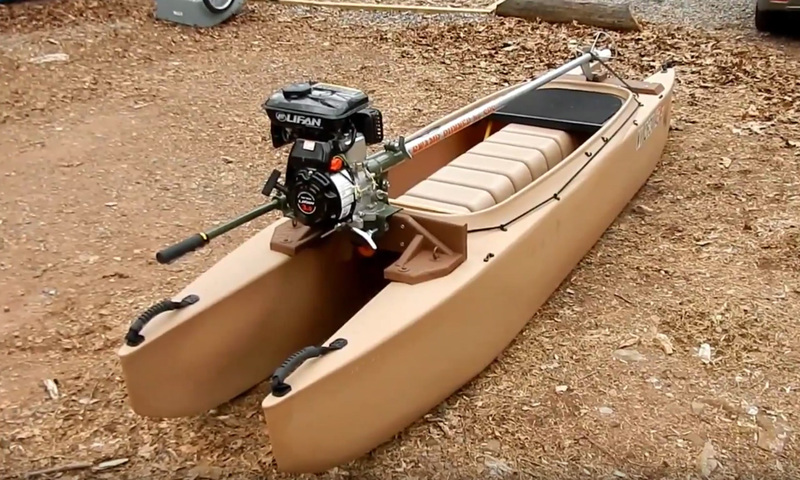 not as rigid as an FRP (‘composite’) kayak, and it’s as likely to be a sit-on-top as it is to be a sit-in kayak. 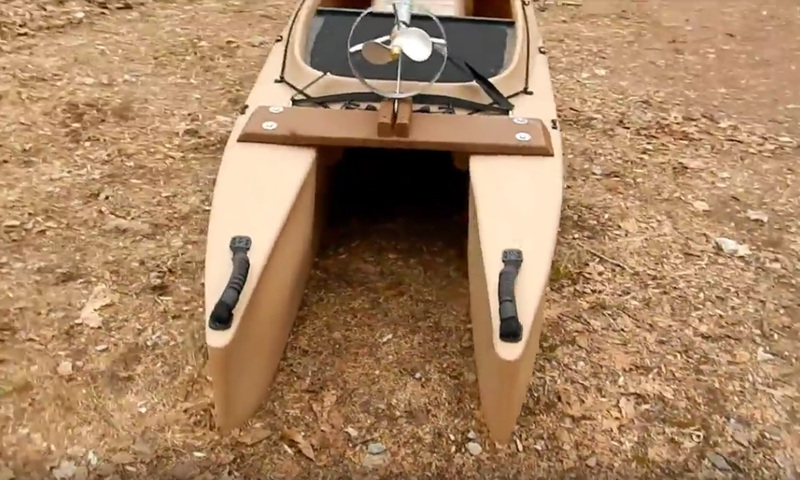 As for the sit-in concept, most of these modern kayaks are very wide and not used with a spray skirt since they are not intended to be rolled. Expedition – Many miles and several days or more. This type of kayak touring is the most demanding from both kayak and kayaker. The kayak needs to be solidly built and gig enough to store the gear and provisions required for a long trip. Because of its size a weight it should be stable enough to minimize the need for rolling. · Tripping – Long journey, mainly on rivers and lakes. The tripping kayak is required to be strong enough to withstand the hardships of going down rapids, multiple beaching on rocky shores etc. It also has to offer sufficient load capacity for gear and provisions. · Touring – General term for recreational paddling through longer distances, usually in groups and sometime for more than one day. Touring is often combined with other recreational activities such as camping, photography, bird watching etc. Touring kayaks include a broad range of designs that are generally faster than whitewater, surfing and recreational kayaks and slower than racing kayaks. · Day Touring – Leisure kayaking for trips shorter than one day. · Recreational Touring – Leisure paddling limited to short trips in both time and distance terms. The touring kayak has to fulfill a number of sometime contradictory requirements of which the two essential ones are safety and comfort. Next come speed and maneuverability, which are important as well but not critical. 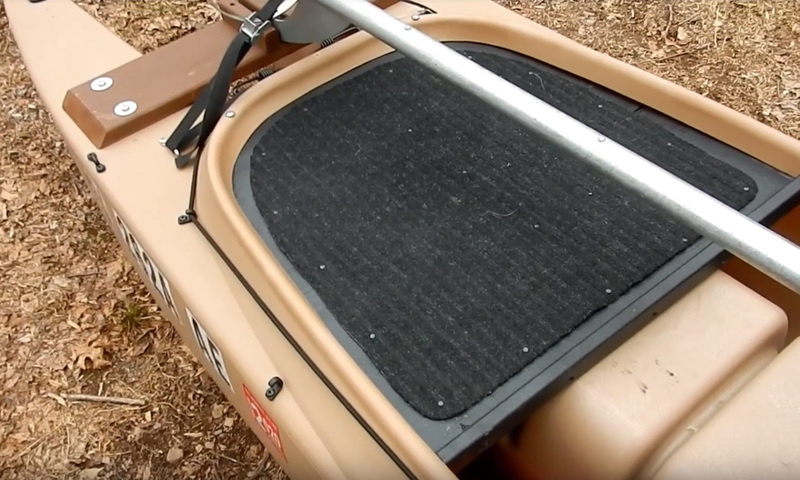 Load capacity and storage come last and their importance is reduced if the kayak model is designed for shorter trips and calmer waters, as most touring kayaks are nowadays. This is obviously the most critical requirement, and it is a complex, multidimensional one. The first thing that comes to mind when discussing kayak safety is the ability of the kayak to protect its passenger from dangers including drowning, injury, exhaustion, hypothermia etc. A kayak with too little free board might eventually fail to prevent water from getting inside the cockpit. In extreme cases the extra weight might impede and even sink the boat, and in cold water and weather it could cause the passenger severe discomfort, exhaustion and even death as a result of hypothermia. A kayak that’s too narrow to offer sufficient lateral stability to its passenger is prone to being overturned by external forces such as waves, boat wakes etc., or as a result of an accidental error made by the passenger in a moment of inattention. The paddling community is divided between the traditional, small and diminishing minority of those who see the Eskimo Roll as the ultimate recovery method and an already overwhelming and growing majority of those who prefer to paddle wider, more stable boats than increase the risk of capsizing by paddling narrow ones. A kayak that does not offer sufficient legroom and good ergonomics will cause its passenger to suffer from discomfort, fatigue and sometime exhaustion. Such kayaks often cause cramps in the legs and thighs, leg numbness and back pain that could lead to serious boating accidents. In the long run uncomfortable kayaks might cause lasting back injuries. A kayak designed for high speed and therefore made from very lightweight and rigid materials such as carbon fiber is also more brittle than a kayak molded from polyethylene, and might develop cracks when hitting rocks or ice. Needless to say, that a cracked hull in cold water can be fatal. Unfortunately for passengers of such kayaks, the colder the temperature the more fragile the hull becomes. These examples show how the requirement for additional speed might reduce both the kayak’s mobility and safety. In this context it is appropriate to stress that designs and techniques that were perfectly acceptable and useful for native kayakers are no longer practical for most modern non-professional kayakers – including those who think otherwise. These subjects are already discussed in depth in another article called ‘Biomechanical and Ergonomic Solutions To Modern Kayaking’ (Article). You are going to spend many hours at a time in this kayak, and what may seem comfortable to you in the first fifteen minutes of paddling might turn to be a nuisance and sometime a source of pain after an hour or two, and it may even cause back injuries over longer periods of time. 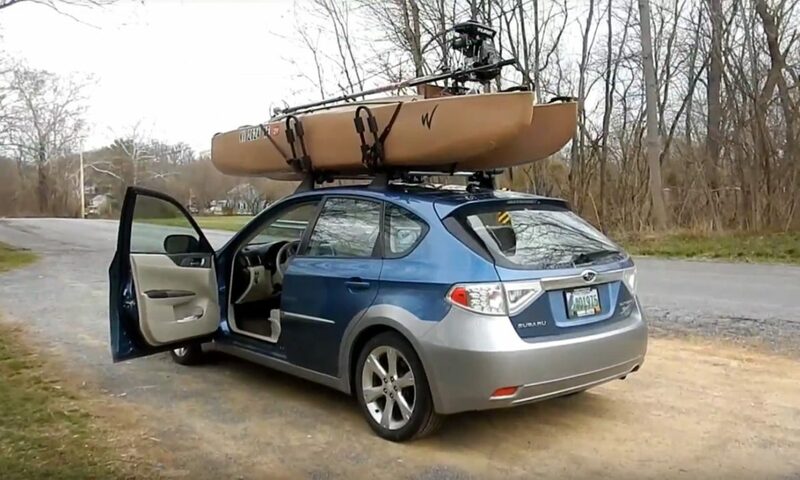 This is a modern-days accessory that native kayaks did not feature. Kayak manufacturers introduced it as a support for the kayaker’s back in order to prevent it from ‘falling’ backwards as a result of sitting in a position that’s not appropriate for people who are no longer used to sitting on the floor, that is nearly all of us Westerners. But the seat has not solved the ergonomic problem at its root- it just changed the symptoms: Now the supporting structure itself I.E. the seat’s backrest created a pressure point in the kayaker’s lower back, and while generous cushioning may dissipate to a certain level and postpone the discomfort it certainly does not eliminate it. 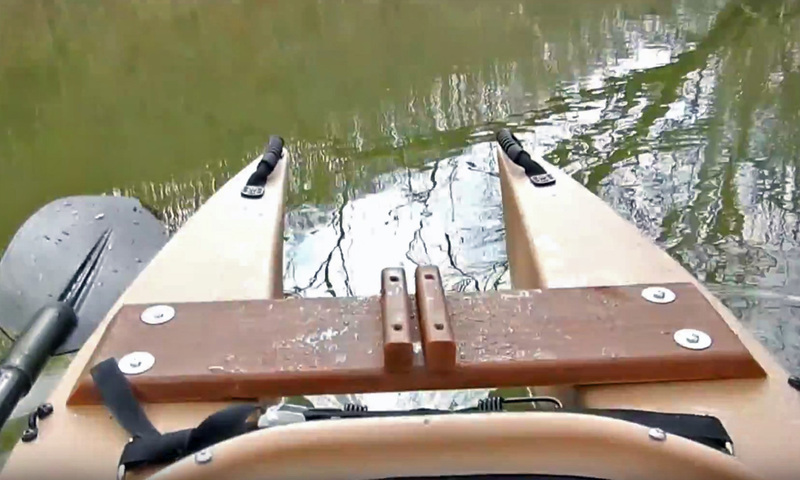 In fact, the kayak seat created a second problem, which is the lack of sufficient support for the kayaker’s feet: Instead of the back ‘falling’ backward the feet are ‘sliding’ forward, which is why they require a rigid, vertical accessory to stop them, and that’s what the foot rests or foot braces effectively do at the cost of increasing the pressure on your lower back. What’s a cockpit? -Basically, it’s the space in the boat from where the person who controls the vessel sits or stands. Sit-in kayaks have a small cockpit in the boat’s center, where the seat is fixed in its place. This design offers little protection from waves and spray, and enables a single sitting position with restricted legroom. If you want better protection you can cover the opening with a tight spray skirt, and by doing so you’ll be locking yourself inside the cockpit for better or for worse… with intermediary degrees of discomfort such as being seated for long hours in a puddle of water since eventually water doesn’t fail from getting inside. You may also experience overheating in the summer and cold in winter, and acute discomfort resulting from the fact you are forced to remain seated in the one and only sitting position that’s offered to you – and it’s not even a comfortable one. As far as comfort goes a SOT’s cockpit may be somehow less restrictive than the cockpit of a sit-in kayak, but the essential problems remain the same, plus you’re more likely to go overboard unless you attach yourself to the deck with ‘thigh straps’, which isn’t safe even if you can roll a sit-in kayak. 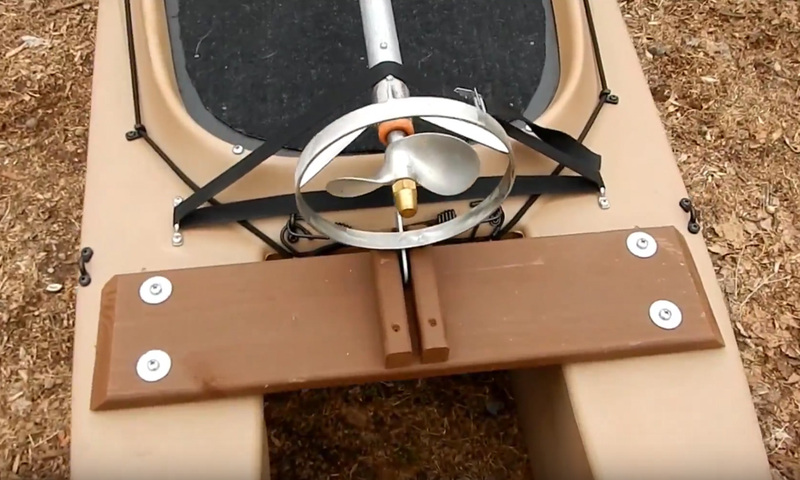 The SOT’s cockpit (or lack thereof) is the reason why you would hardly see SOT touring kayaks anywhere in colder regions. 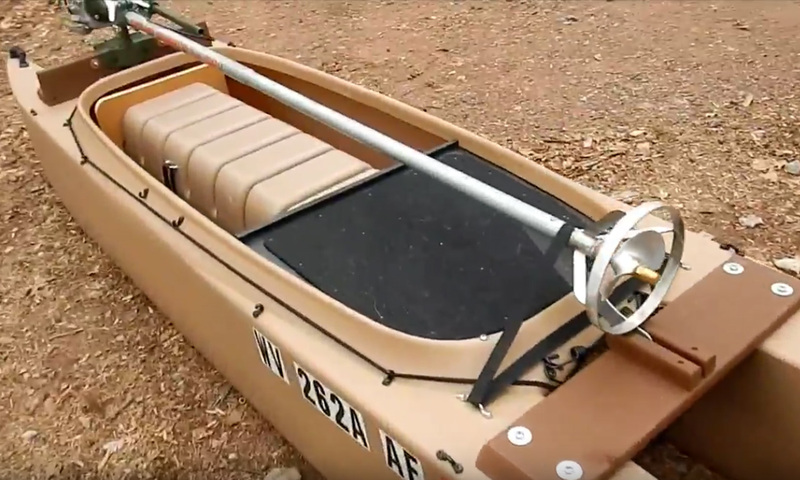 In sum, as a touring kayaker you should consider whether the cockpit of a kayak model offers you a functional space or if it is just a ‘place’ inside the boat or on its deck. So, the rule for hatches is that they are designed for storing objects that you wouldn’t need on board. Such stories are so common that some kayak outfitters would tell you that whatever you bring onboard your kayak is likely to get wet – including yourself. Native kayaks had no rudders but modern kayak manufacturers noticed that most of their customers were facing difficulties in tracking and maneuvering their kayaks. The problem with conventional (I.E. mono-hull) kayaks is that the longer they are the harder it is to maneuver them, which could be a severe problem in rough waters and weather since you may be going in a straight line but not necessarily in the direction of your choice because the wind, waves and currents would outmaneuver you… -But the shorter the kayak the less well it tracks, which is too bad since in a short rudderless kayak you’ll find yourself zigzagging your way to your destination instead of going straight there. Traditionally, touring kayaks are solo boats, and if you want to go kayak touring you need a tandem model, which is not practical for a single kayaker. This is a less than optimal solution, and in fact it’s even inferior to solutions offered by canoes. SOT kayaks are somehow more flexible on this issue, and in some cases the ‘guest seat’ on the deck can accommodate an additional passenger for short rides, but in such cases the kayak becomes laterally unstable and is not it’s not balanced fore and aft and therefore becomes even more difficult to paddle. But additional passengers don’t necessarily have to be paddlers like you – They can also be small children or dogs, and it goes without saying that both their safety and comfort must be assured. This is possibly the most discussed subject related to kayak touring yet it seems to be unclear to many kayakers. The first issue that needs clarification is what makes a kayak go faster? 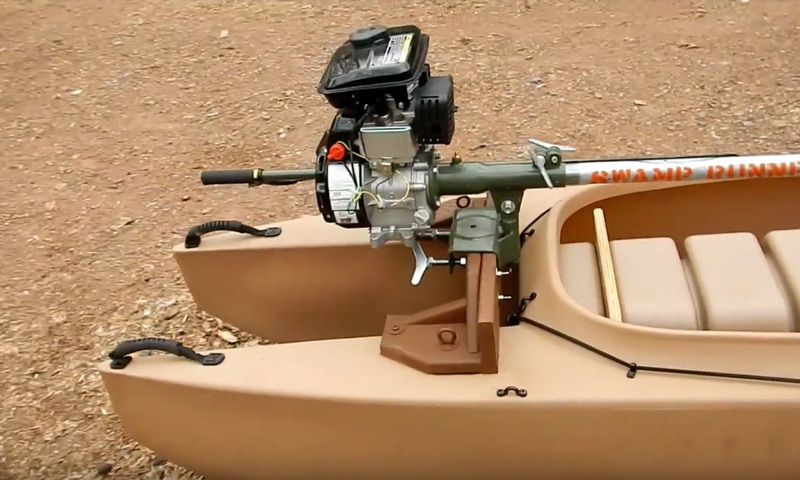 The answer is obviously the power and skill of the kayaker, plus the design of the kayak itself that enables the kayaker to use these resources efficiently. Since kayakers differ greatly in physical attributes such as height, weight and strength as well as in their specific paddling skills and touring style a kayak that’s fast for one paddler may be slow for another, and vice versa in some cases or even as a general rule. For example, a very narrow and long sea kayak may enable a kayaker to go faster on flat water than a shorter and wider kayak would, but it could be difficult to control in moving water such as rapids and surf, and therefore force the kayaker to go slower or even give up paddling it in such waters. Since the kayak is a passive object without a motor or sail of its own its speed depends its hydrodynamic qualities but possibly even more on its ergonomic and biomechanical design, or simply on what its physical impact on the paddler is. Therefore, when choosing a touring kayak it would be beneficial for you to consider speed not necessarily as the first and foremost parameter but as yet another feature that comes at a certain price that you may or may not want to pay. You should take into consideration what type of kayak touring you’re likely to practice, and who are going to be your paddling partners. Obviously, if you intend to paddle together with kayakers who paddle fast you’d better paddle a fast kayak – but only if you’re a good kayaker yourself. Otherwise, if like most touring kayakers you’re planning just to spend time kayaking alone or in the company or others who share the same mindset without rushing anywhere you should put speed in a much lower priority. After reading about the safety requirements it’s easier to understand why comfort should be a critical requirement from your touring kayak. In previous sections of this article we discussed some comfort issues in a safety context, but comfort is also important in itself since it’s the number one factor that’s likely to determine the overall quality of your kayak touring experience, and thus will determine if you’ll be satisfied with your kayak choice and possibly even whether you’ll stick with kayak touring as a preferred outdoor activity. 4.2 Mobility: Launching, Beaching Etc. Both launching and beaching go to the kayak’s performance in terms of mobility, which is at the core of kayak touring: A good touring kayak should offer you the ability to launch from more places and get back to land whenever you want. So a touring kayak should be easy to get into and out of, and it should better be ‘built tough’. Back in 2004, when Wavewalk offered the first generation of kayaks enabling stand up paddling in full confidence, some pundits of the kayak touring world scoffed, and others ignored us. Today, after the market for stand up paddling (SUP) on paddle boards has become much more popular than kayak touring, the Wavewalk™ kayak is till the only one to offer all people regardless of their physical fitness both kayaking and stand-up paddling in full confidence and comfort. W paddlers enjoy both a relaxing change of paddling positions, as well as a new way to look at the world around us, and enjoy it. The kind of kayak touring you practice may be different from someone else’s, but all touring kayakers are basically seeking an experience that may have to do to some extent with nature, freedom, escape, adventure, group participation, family, friends, healthy exercise and most of all – fun. This precious, personal experience could be damaged by people who confuse kayak touring with racing, or others that have a tendency to compete in kayaking skills and knowledge, or by those who show off their latest acquisitions in expensive kayaking gear, electronic gadgets etc. Your kayak touring experience can also be ruined by an inadequate kayak: Regardless of price, your kayak is no good if it doesn’t contribute to your own, personal touring experience, so if anyone tells you what experience you should be after or what boat is proper for you just remember that these are personal things that you need to discover by yourself and for yourself – even if it takes a long time and possibly switching kayaks. The type of kayak touring you like and the touring kayak you like are best for you, period. You shouldn’t let individuals who may be ‘purists’, ‘gear freaks’ and ‘tribal chieftains’ affect your personal judgment. It is inconceivable that your choice of a touring kayak would be affected by considerations that may have been relevant to native hunters of the polar circle in the distant past. Things have changed since then, and both your needs and capabilities are very different form theirs, as well as the number and types of kayak concepts and designs you can choose from nowadays. We hope this article has informed you in some way about the subject. (1) Interestingly, small, personal sit-on-top board-like paddle boats were quite common around the world for millennia, of which some were paddled with dual blade paddles similar to kayak paddles E.G. in Italy, Pre-Colombian South America etc. 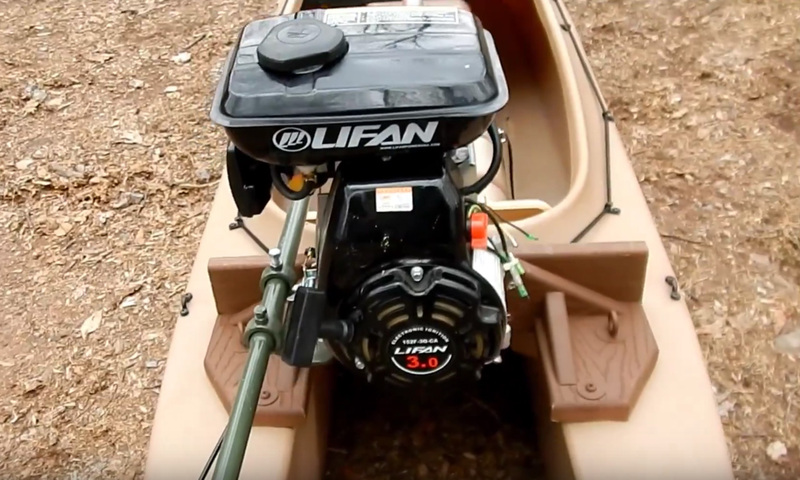 How Much Gear Can You Store Inside This Fishing Kayak? 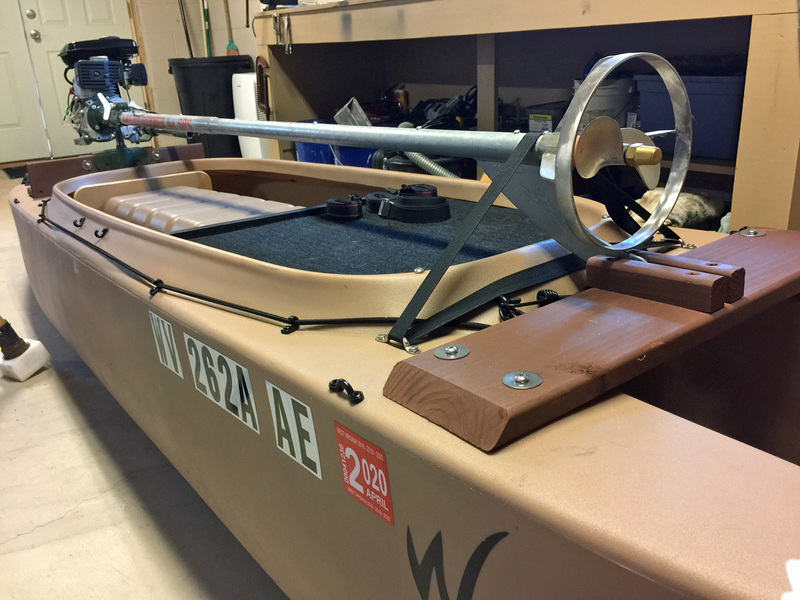 The Seaworthy Kayak, article by John Winters. OpenROV is a DIY community centered around open-source underwater robots for exploration, education and adventure. Here are some pictures from my recent ‘Depth Test’ experiment. My W Kayak was loaded up and performed admirably. The picture at the top is from the successful trip and the second picture is from the first day out when my laptop battery died. That is part of why I bought the electric motor for the second trip. *e-tubes – the sealed cylinder housing that we put the electronics for the OpenROV.